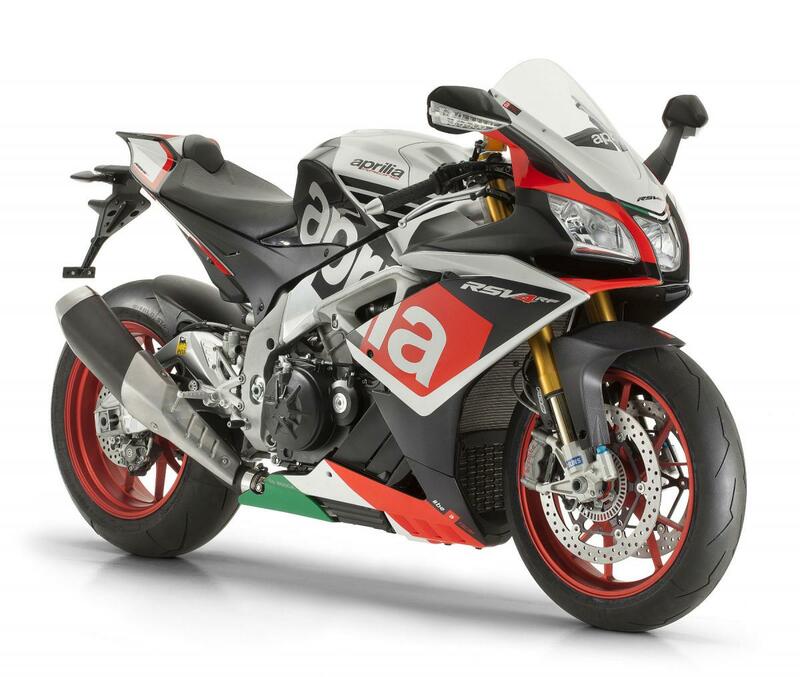 APRILIA has just unveiled the RSV4 RR and RF at the EICMA show in Milan. Although the bike looks similar to the current RSV4, the list of changes is extensive. The front end has been redesigned with a new front fairing, new headlight with LED parking light, and different mirrors with built-in LED indicators. The 999.6cc V4 engine makes 201hp, 17hp more than before, thanks to a new airbox, injectors, intake ducts, titanium valves with new valve springs and redesigned heads. The camshaft has a new profile and is now 0.5kg lighter, the connecting rods have also been trimmed of 0.4kg. The swingarm is now 14mm longer for increased traction and to help reduce wheelies under acceleration. The exhaust system has also been redesigned and Aprilia’s Performance Ride Control (aPRC) electronics package has been developed further to suit the new bike. Available in 'Bucine grey' or 'black Ascari', the RR will only come in matte colours. A ‘Race Pack’ is also available including lightweight forged aluminium wheels and Öhlins suspension. A limited edition RSV4 RF will also be offered. The RF comes with ‘Superpole’ graphics and the race pack as standard. Only 400 will be made.